Home » What to Collect » ... salvage places » MIB 1963 Welbilt stove at the Re-Store in Alexandria, Va.
MIB 1963 Welbilt stove at the Re-Store in Alexandria, Va.
Tina spotted a vintage Welbilt stove – mint in its original packaging, $100 – at her local Re-Store / Habitat for Humanity over the weekend. Anyone want to go for it – if it’s still there? 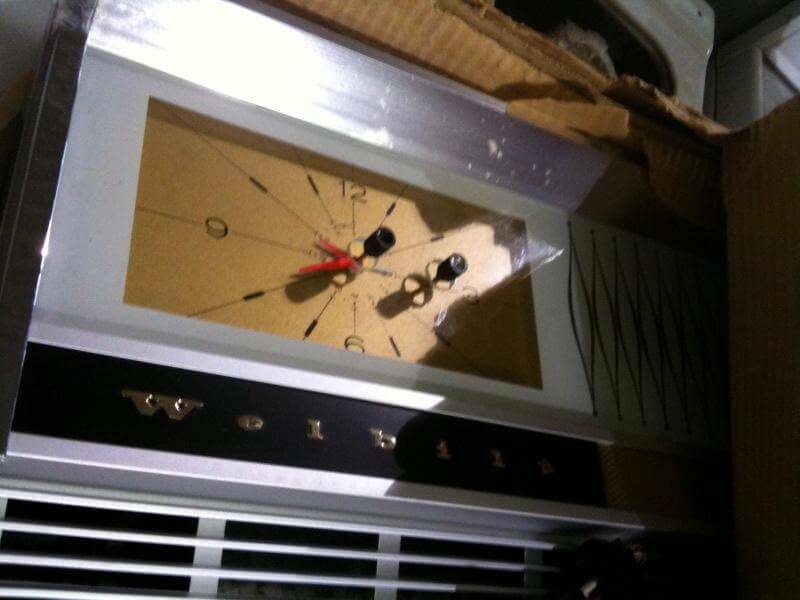 We were strolling through our local Habitat for Humanity ReStore today in Alexandria, Va, and the clerk there saw we were focusing on retro items and showed us an amazing brand-new, never used, 1963 Welbilt gas stove, The back section, with the clock and an amazing glass zig-zag design, was still in its original box. The newspaper that was wrapping up the shelves and items inside was dated November 1963. If we had gas in our home, we would have bought it in a flash. 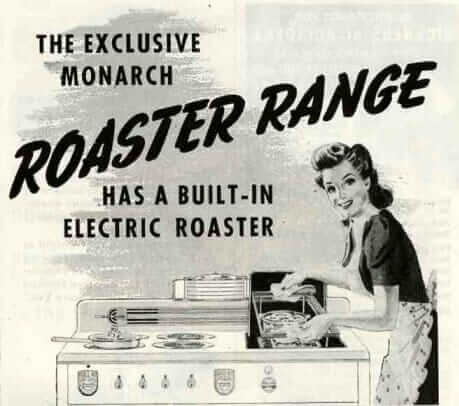 Here’s my question… where would be the best place to publicize the availability of this item to folks who are looking to retrofit their mid century homes? The price tag said $200 but he told us they’d likely take $100 if someone offered. I took some pictures with my iPhone, but they certainly don’t do it justice. I’d love to match up a buyer with this amazing piece. Can you help? Thanks! I’d love it if you featured it. 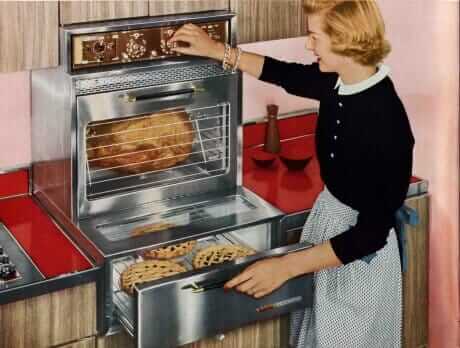 Ooooh, the stove is a “Tiara” or “Hostess” series. 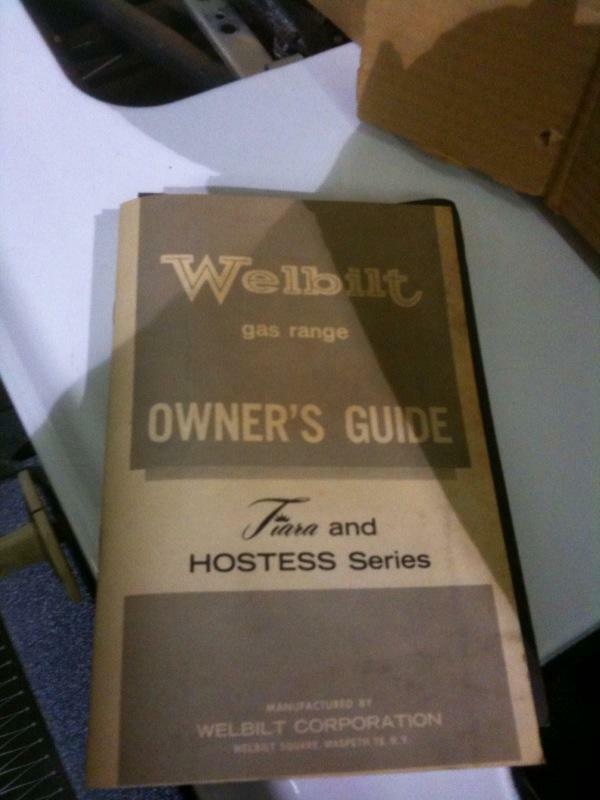 Readers, please note that the one thing I learned the hard way about buying vintage stoves is that in some states you cannot legally connect gas stoves unless they have an automatic safety pilot. So check this out with a professional before throwing down your dollars and carting the hulk home. 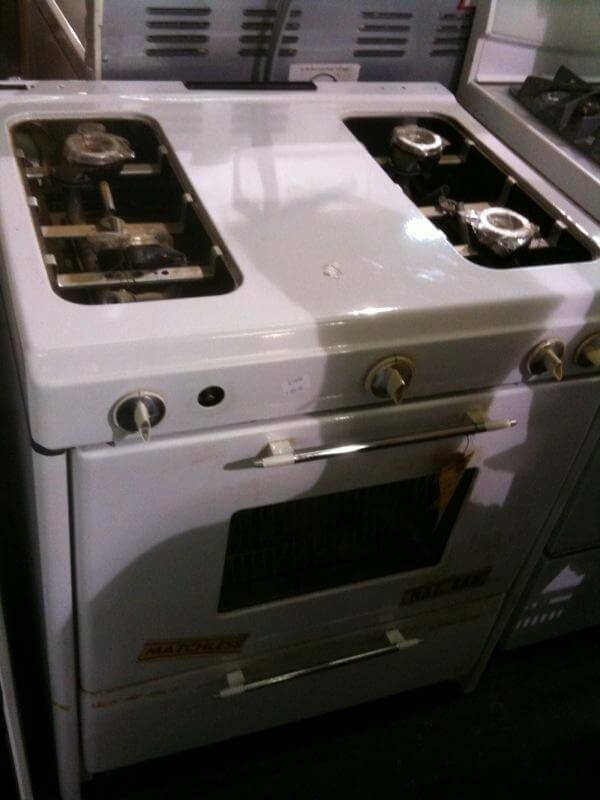 And, if you’re thinking of doing any restoration yourself on any kind of stove, also consult a pro – as old appliances may have asbestos in their insulation, lead in their paint, etc. We’re not really doing a retro renovation. We live in a traditional 1980s colonial in Fairfax, Va., and have tried to un-colonial it as much as we can. I have a huge collection of 1950s lamps (some might call it an obsession) that are sprinkled throughout the house (sprinkled? more like layered), and have created at least one retro room. I’ll send pics when I’m finished. I just want folks to walk in and see right away that it’s not the typical Virginia colonial, but not get too wild. Make sense? I love your site, by the way, and have used it for decorating ideas. We do want to transform our powder room into a 1950s bathroom, which is why we were looking for toilets and sinks at the ReStore. We want to find a great set of yellow, green, pink or blue porcelain. Tina, I am quite sure that the retro decorating gods will send you something lovely indeed. Be sure to watch the Forum — Scathing Jane scans craigslist daily then posts the best stuff. And not just vintage steel cabinets but other Kitchen and Bathroom Stuff. In fact, Jane has quite the eagle eye when it comes to the most wonderful, magical, desirable bathroom fixtures — vintage Crane for example. I’ve seen lots in your area, I think… Watch for her smilie faces. 🙂 Jane, you rock! And so do you, Tina, 🙂 for this great retro recon! Here’s the link to the Alexandria Re-Store. 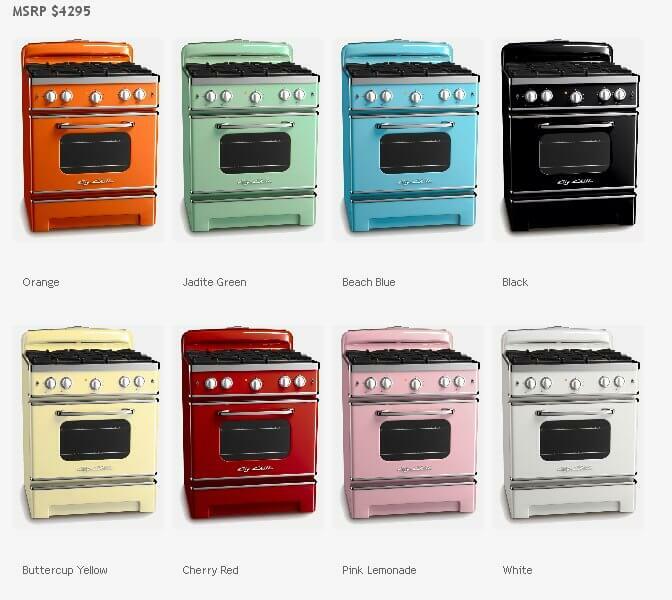 Note, though, that the stove is not on their website. 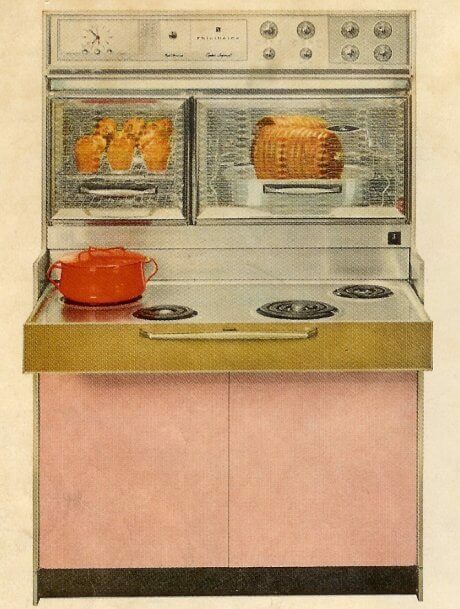 Vintage Frigidaire Flair – the all time favorite for a 60s kitchen? God I’m glad I don’t live there! One more thing to haul back to the garage! The girlfriend is sooooo understanding (er…tolerant?). Her collecting OCD is mid century costume jewelry which she cleverly stores on a rolling aluminum backers rack or “speed rack”. She has many times the number of vintage items and takes up a fraction of the space. Me, I bring home non-functional refrigerators like lost puppies! 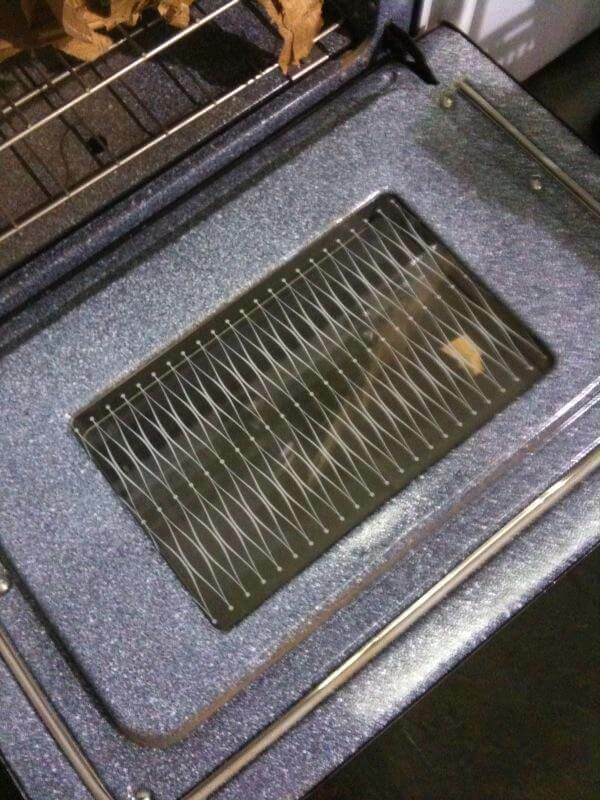 I’m looking for 4 stove top “grills” that fits a 1965 Welbilt-Tiara Stove/Oven.